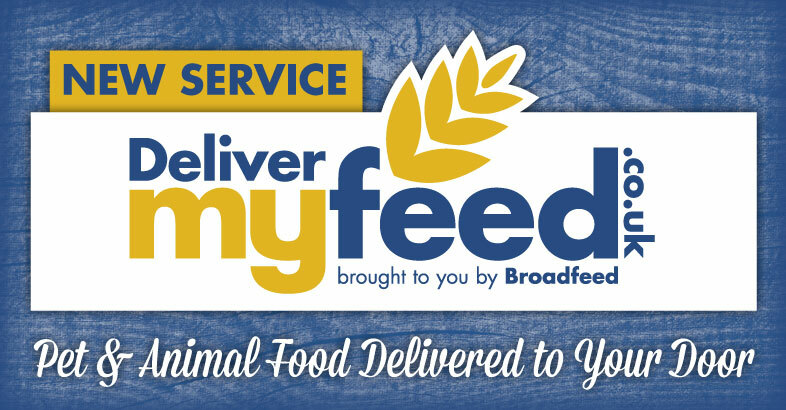 Broadfeed - Animal & Pet Superstore, Offering Free Delivery To Tunbridge Wells, Specialising In Food, Supplies & Accessories For Dogs, Cats, Birds, Horses & More. Our Animal and Pet Superstore and Saddlery extends its delivery network across Tunbridge Wells and the surrounding area. 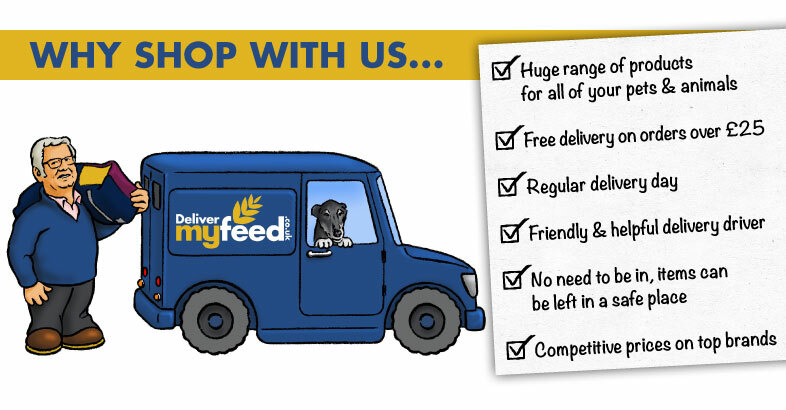 With free local delivery on orders over £25, many of our customers regularly benefit from this service for delivery of a range of items from horse feed to cat litter. With regular delivery days, you will always know when to expect your items. Our delivery drivers are highly experienced and take pride in delivering your items in the same condition as they left the Broadfeed store. Not only this, but we are also able to leave your items in a safe place for you, meaning that you don’t have to be at home to receive your delivery! We stock a huge selection of wet, dry and frozen food from the likes of James Wellbeloved, Chudleys, Pedigree, Burns and Bakers in a variety of different quantities. Many of our brands offer a range of age and/or breed specific food, to provide your dog with essential nutrients to support him throughout his life. Our food accessories are ever increasing to include the latest in bowls, travel water bottles and much more! We also stock dog toys, including the newest in ‘eco’ toys from Beco as well as traditional toys from Kong and Go Dogs. We also have a vast collection of dog collars and leads, including slip leads, chain leads and the newest, most innovative rubber core designs from Rok. Our dog coats are designed to protect your dog from the ever-changing British weather, with quality designs from Danish Design and Shires- and don’t forget to have a look at our Thundershirt Anxiety Dog Coats! We are able to cater for even the fussiest cats! We are proud to offer our customers quality wet and dry cat food with a range that spans numerous brands including Felix, Hills, Royal Canin, GoCat and James Wellbeloved. Our feeding accessories are also popular, with a great range of bowls and feeding equipment, from traditional bowls to our Van Ness Auto Feeder! Our Beco Family of dog toys is so popular in the Canine department that we thought we’d also offer our customers access to the wonderful world of Beco cat toys. Bold and bright, these toys will provide your cat with hours of entertainment! Our small animal food and supplies are a favourite with our customers. With a whole host of Rabbit, Guinea Pig, Hamster and Gerbil food (to name just a few), your pet will be spoilt for choice with brands such as Burgess, Copdock and Allen and Page. We also provide bedding in a variety of convenient sizes, from small bags of sawdust and fluff bedding, to large bales of hay and straw. We also stock a range of accessories, including treats and toys. Our Equine department has come on leaps and bounds over the past 30 years. Our range of horse food has increased enormously and continues to grow, in line with customer demand. Not only do we stock the old favourites, including Allen and Page, Dodson and Horrell, Baileys and Spillers, but we are fast expanding our range to accommodate top quality new and natural feeds from the likes of Thunderbrook Horse Feeds and Herbal Supplements and well as Keyflow. We understand that forage is the main component of any Equine diet, and therefore we continue to concentrate on providing our customers with top quality forage for their animals in the form of haylage, grass nuts and dried grass from the likes of Baillie, HorseHage and Readigrass. We also supply a huge range of top quality horse bedding, from traditional straw and shavings to hemp and rapestraw bedding from Aubiose and Sundown, to name just a couple of our manufacturers. Our saddlery is dedicated to all the essential items for horse and rider. From rugs to rubber plaiting bands, bridles to bandages, jodhpurs to jackets and footwear to fly fringes, we’ve got it covered! 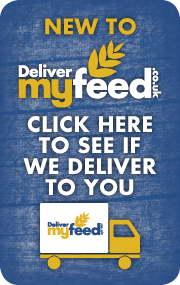 Our delivery service is busy supplying our customers- from smallholders to farmers with a number of livestock. Our poultry department is hugely popular amongst our customers, and we have worked to ensure our Tunbridge Wells superstore and online shop are a one stop shop for all your poultry and smallholder needs, from poultry to pig feed, electric fencing supplies to Rumevite, buckets to bins and castration rings! All of our items are available for delivery. Just click here to find out if we operate in your area!